Welcome to the Sunday Salon where bloggers share their reading each week. Visit The Sunday Post hosted by The Caffeinated Bookreviewer. Also visit Mailbox Monday, and It's Monday, What Are You Reading? hosted by Book Date. Spring-like weather and rain lately, no white Christmas this year. We are getting spoiled till the end of the year, it seems. 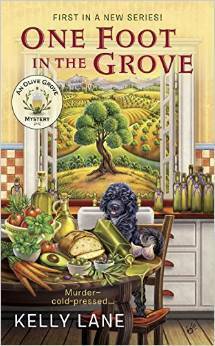 First in a new mystery series about Eva Knox and her family’s Georgia olive plantation. In the sweet Southern town of Abundance, Georgia, home of the Knox family’s olive farm,...A death on her family’s farm soon makes Eva the lead suspect in a murder case—and the sheriff investigating is none other than Eva’s old flame Buck. Any new books for January on your desk? 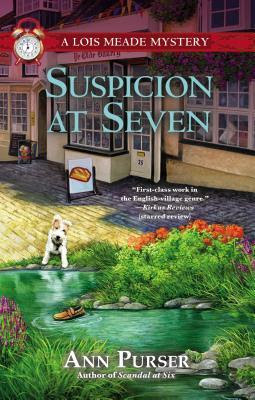 Suspicion at Seven: A Lois Meade Mystery by Ann Purser, published December 2, 2015 by Berkley. Lois Meade, businesswoman and unpaid amateur detective, sat on the low wall of a millpond and watched the flow of water in the tailrace, where ducks and drakes were flapping about in the antics of courtship. It was spring, and love was in the air. Oddly enough, murder was also in the air. What do you think? Does the beginning make you want to read on? 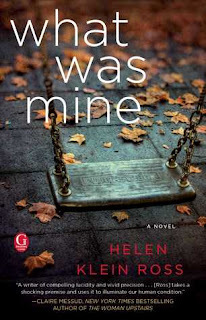 What Was Mine by Helen Klein Ross, to be published January 5, 2016 by Gallery Books. 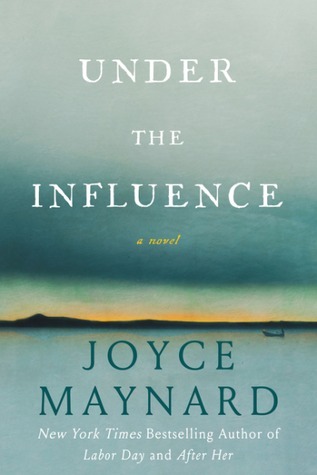 The heartrending yet unsentimental tale of a woman who kidnaps a baby in a superstore—and gets away with it for twenty-one years. 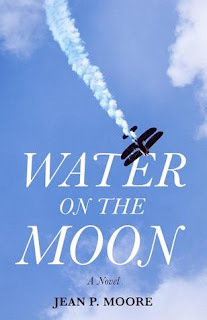 Water on the Moon , a win from the author Jean P. Moore, published June 3, 2015 by SheWrites Press. a borrow from the library, The Nature of the Beast, the 11th in the mystery series by Louise Penny. 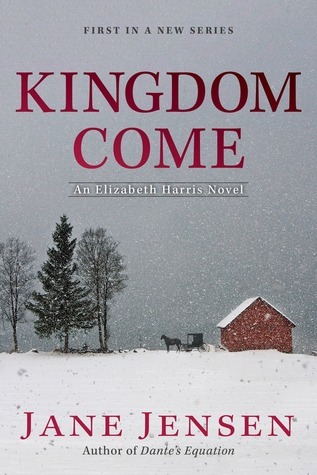 Quite a suspenseful story, set in the idyllic village of Three Pines, Quebec. 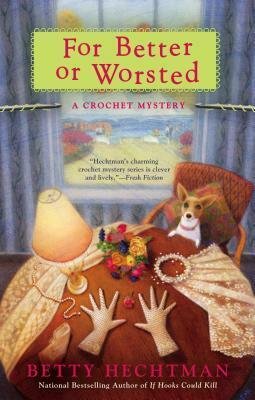 I am almost finished with a new cozy, A Wee Dose of Death by Fran Stewart, A Scotshop mystery to be released January 5, 2015. I don't normally take to ghosts in novels, but a thirteenth century Scotsman who spices up this shop adds a lot to the mystery. What books are you reading right now, before Christmas? Keeping in mind these are only Christmas cozies and just for fun, don't mind the titles! I'm saving them for the holidays and hoping I will have the reading time! In Rudolph, New York: As the owner of Mrs. Claus’s Treasures, Merry Wilkinson knows how to decorate homes for the holidays. That’s why she thinks her float in the semi-annual Santa Claus parade is a shoe-in for best in show. But when the tractor pulling Merry’s float is sabotaged, she has to face facts: there’s a Scrooge in Christmas Town. 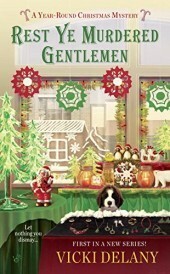 Opening sentence: The tips of the tall turquoise and green hats bobbed in the snow as elves weaved through crowds of painted dolls, toy soldiers, shepherds with their sheep, reindeer, poultry, clowns, sugarplums, gingerbread people, and candy canes. All Izzy Chambers Perry wants for Christmas is to keep her brother Charlie out of jail—in this holiday yarn from the national bestselling author of A Finely Knit Murder…But Izzy and the knitters soon have to clear Charlie of a hitchhiker's murder. Opening sentence: Charlie hadn't yet reached the bridge that crossed over onto Cape Ann proper when he decided it was all a terrible mistake. A cruel joke his conscience had played on him, punishing him for all the wrongs in his life. 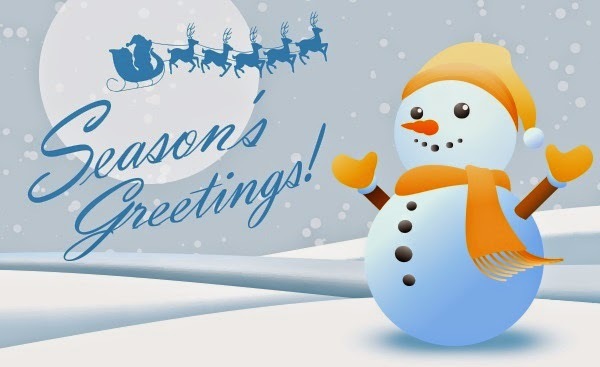 What holiday books are you planning to read? I have been getting very fussy with books lately, even though reading more nonfiction. But even these can be put aside for a while, as well as the novels that I discard after the first page, the first five pages, the first ten, even after the first hundred pages. Why? This feeling of "Been there, Read that". The plots and settings and situations of many books seem so familiar after a while. I really crave more originality after having read so much up to this point. A Wee Dose of Death by Fran Stewart, A Scotshop mystery to be released January 5, 2015. 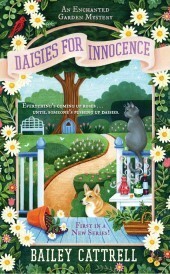 I like Scotties, so the cover of this cozy was a plus for me from the start. And the first sentences grabbed me. First paragraph: Marcus Wantstring wasn't looking for a place to die. He was looking for a quiet place in the snow-covered mountains of Vermont to get his thoughts together so he and Denby wouldn't look like deadbeats. 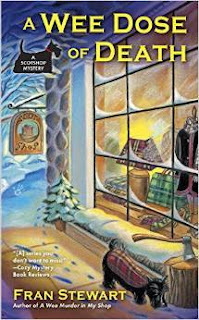 Interestingly, the Scottie in the novel is not a dog but a fourteenth century Scots man who haunts Peggy Win's Scotshop. 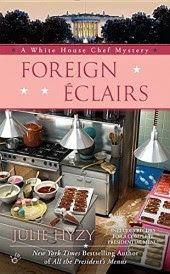 Foreign Eclairs: A White House Chef Mystery by Julie Hyzy, to be released January 5, 2016. I love, love eclairs, and the mystery death of a White House staff member adds to the intrigue of this cozy. I hope I will enjoy it - the idea of the eclairs as well as the plot. 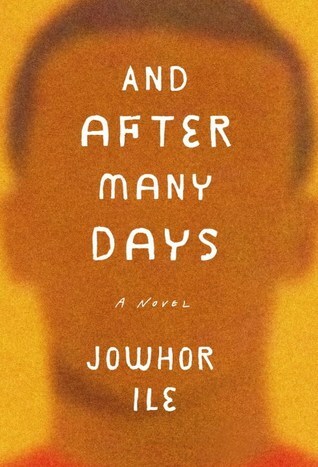 And After Many Days by Jowqhor Ile was a surprise and a welcome one. 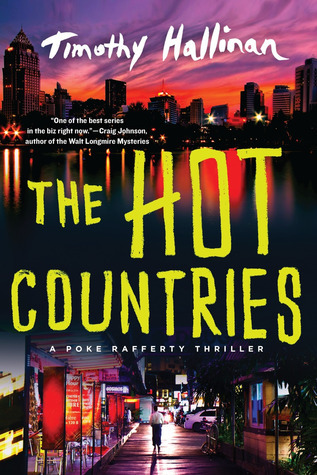 I like international settings and cultures, so this will be a good read, I'm sure. Published by Tim Duggan books, February 16, 2016. During the rainy season of 1995, in Port Harcourt, Nigeria, one family is disrupted by the sudden disappearance of seventeen-year-old Paul Utu, beloved brother and son. As they grapple with the loss, they embark on a journey which shatters their once ordered family. 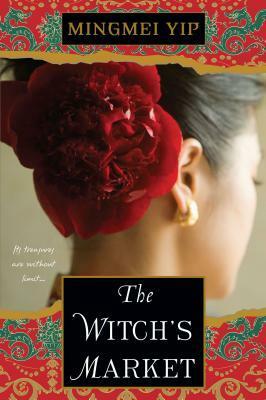 What books are you sure to read in the coming weeks? He stomped the brake and glared at the BMW swerving into his lane. I could smash this idiot's bumper, but it won't get me to her any faster. Suppressing the urge to turn this SUV into a battering ram, he laid on the horn instead. It worked. The Beemer swung out of his path and he hit the gas, running the next two yellow lights. "Mike, why did you really come home early?" What book are you eager to read this Friday? Let Nafisha be happy with her game board, Zenobia tells herself, sighing. Her own life will not be one of leisure. It must, she thinks fiercely, be worthy of her Amlaqi heritage, worthy of a descendant of Cleopatra, and of the other great queens to whom she can trace her blood: Julia Domna and Dido. Her life must be worthy of her ancestors. Anything less would be failure - and an insult to the gods who have made her. My comments: I admire the ability of the author to research this unusual and relatively obscure character from history, a woman who dared to defy custom and the odds to became famous in her time. 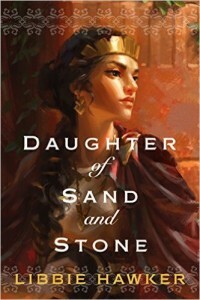 The character is amply fleshed out by the author, who takes us back to this period and shows what it must have been like for an ambitious woman to want to become a ruler in her land. Well done, intriguing, and a look at a slice of time in the annals of rebellions against Imperial Rome. 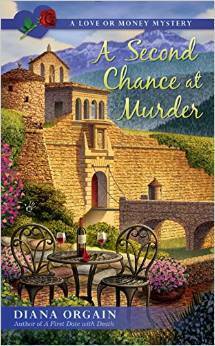 Click on the link for more reviews of this book, tour hosted by TLC Book Tours. Thanks to TLC and the author/publisher for a review copy of this book. Getting ready for the holidays also means clearing the house of extra kitchen items, clothes, even furniture. I may need more time! This Sunday Salon is a day early because I woke up this morning thinking it was Sunday! That's what happens when hubby gets a Friday off. Throws the whole weekend feeling off. But so glad for the extra day this weekend! 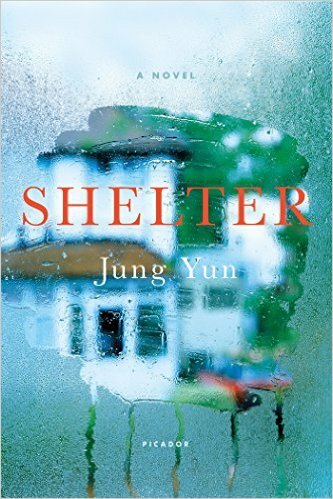 Shelter by Jung Yun, to be released March 15, 2016 by Picador. Why should a man care for his parents when they failed to take care of him as a child? A debut novel that asks what it means to provide for one's family. In Amish country in Lancaster County, Pennsylvania, a troubled detective has to solve a crime. What's new this week for you? 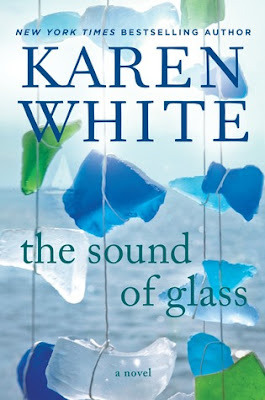 ... a Southern family’s buried history, which will change the life of the woman who unearths it, secret by shattering secret. An unholy tremor rippling through the sticky night air alerted Edith Heyward that something wasn't right. Like a shadow creeping past a doorway in an empty house, or the turn of a latch on a locked door, the movement outside Edith's attic window raised the gooseflesh along her spine. Her breath sat in her mouth, suspended with anticipation as icy pinpricks marched down her limbs. "...I have no idea what you were thinking just showing up on my doorstep expecting to stay with me." 4.5/5 stars. The issues of domestic violence are addressed in this novel. I had reservations about the idea of it being carried on from generation to generation, being passed on like a defective trait. The question of nurture versus nature is controversial and made me think about it, reading this novel. The character Loralee made me weepy in several parts of the book, and is one of the very likeable characters created by the author. She made the book more than worthwhile. 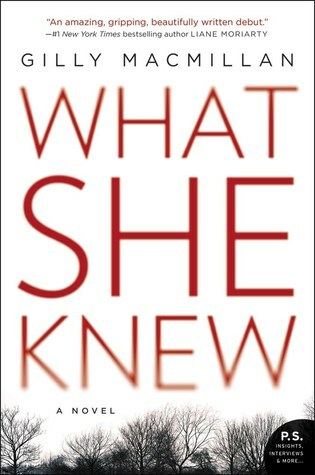 What She Knew by Gilly Macmillan, published December 1, 2015 by William Morrow Paperback. 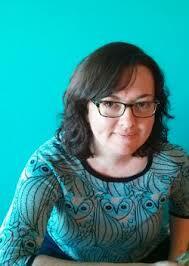 Gilly Macmillan explores a mother’s search for her missing son, weaving a taut psychological thriller. A brief summary: A divorced single mother of an eight-year-old boy becomes distraught when her son goes missing in the park during a regular Sunday walk with their dog. The cops follow multiple leads, just hints and threads of clues, as no one saw the boy in the woods during the walk or after he ran ahead of his mother to a rope swing in a secluded clearing just ahead of them. 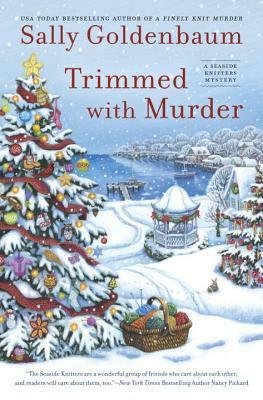 Rachel becomes a suspect in the case, while she does her best to follow leads to find her son. Who in contact with young Ben in his everyday life and would have reason to abduct him? Seems several people fit the bill. As days go by, no one is sure of the outcome. But a determined detective on the police force is sure he is on the right track. 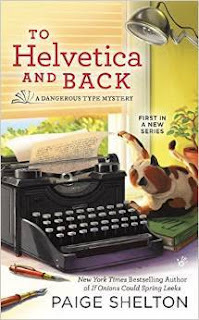 I was immersed in the book, into the very realistic and well-drawn character of Rachel, who seemed helpless and put-upon, desperate to find Ben. Her ex-husband is not a big help, nor is his new and younger wife. The character of the detective is also intriguing, a man sure of his instincts in the case yet conflicted at the same time. 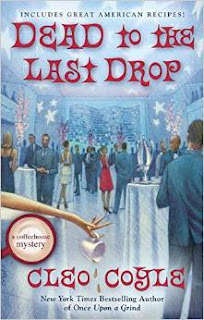 The plot lagged a bit toward the middle, when it seemed as if nobody was getting anywhere in the case and no new clues cropped up. But read on.....exciting things start to happen fast. 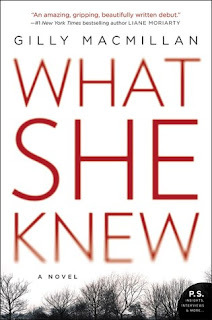 Themes in the book: Child abduction, family dynamics, divorce, single mothers, police procedure, the psychology behind some of those who abduct children. 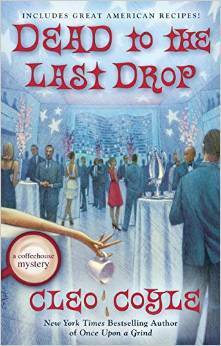 I gave this engrossing read five stars! Excellent for a debut novel. 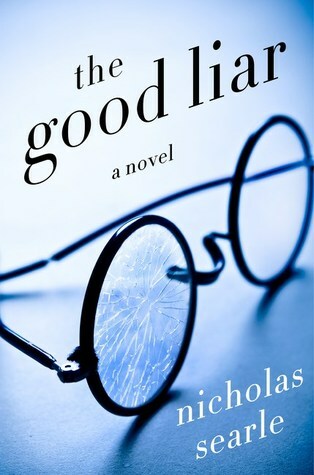 I received an ARC of this book for my impartial review. I chose this book to highlight because of the clever title. I haven't read the others in the series, but I'm pretty sure this is a stand-alone cozy. You know how they say weddings always have drama? Well, this one had an overdose. My name is Molly Pink, and the wedding in question was my friend Mason Field's daughter, Thursday's. Yes, that's really her name. I wasn't invited to the actual ceremony, which was for immediate family only, but I, along with two hundred or so others, had been invited to the reception that was being held in Mason's tented backyard. When I say tent, I'm not talking about some little open-on-the-sides thing. We're talking about a structure that took up the whole backyard. And it only looked like a tent from the outside - the interior was done up like an elegant ballroom. But I'm getting ahead of myself. What do you think? Would you keep reading? If you would, she has a new one out in May 2016 - Seams Like Murder.